So I’m sitting here daydreaming and working. And then, it hit me: I’m on track to complete my 2012 Bucket List next week. This whole concept of having a Bucket List for each year– not just one for your life– came from a blogger named Lesley Carter. I’m sure you’re familiar with her… she’s amazing and has like 5 billion followers. Go on and check her out. Anyway, taking a page from her, I decided to create a Bucket List for 2012. Here is the article which completed my list. 1. Complete a 2-week juice fast. 4. Camp for a Week… with Diverse Friends. First things first. That juice fast. Icky, icky. But I did feel like a million bucks afterwards. Good time that was. Third on my list was to complete a mini documentary. This made the list because I was hungry to return to producing videos. I went to school for it. I’ve been doing it since high school. But the latest projects that I had until the beginning of the year involved weddings and things of that nature. I’ve scratched this item off the list time and again this year… due to my first Children’s Book, Pete the Popcorn, being released. It has been such fun to work on promoting the book through various videos, including visits to schools and gourmet popcorn shops. The fourth item on my list is the one I’m getting to next week… sort of. I wanted to camp for a week… with diverse friends. Here is the thing: I should not have worded my goal so strictly. I love to camp. And I’ve done it quite a few times this year. However, it’s hard to get people to organize— and it’s even harder when a lot of your friends are not too fond of camping. So my goal should have been to vacation for a week… with diverse friends. That’s what I’m doing. Next Thursday, I board a big Carnival Cruise ship in New Orleans, Louisiana for a cruise with over a dozen friends in tow. The best part? They’re all first-time cruisers. So, it might not be camping… but it’s spending a week with a very large and very diverse group of interesting people. Stories and good times will sprout from this week, let me assure you. Not camping… but cruimping? My point is this: though the goal changed by one word, the meaning was the same– to forge deeper relationships through a great, fun experience. The fifth item on my list was to go on a “NEW” cruise. If you don’t follow this blog on a regular basis, you may have assumed by this point that I’m a huge fan of cruising. But I always tend to go on the same ones… Caribbean, Mexico, Caribbean again. I had a hunger to do something more. 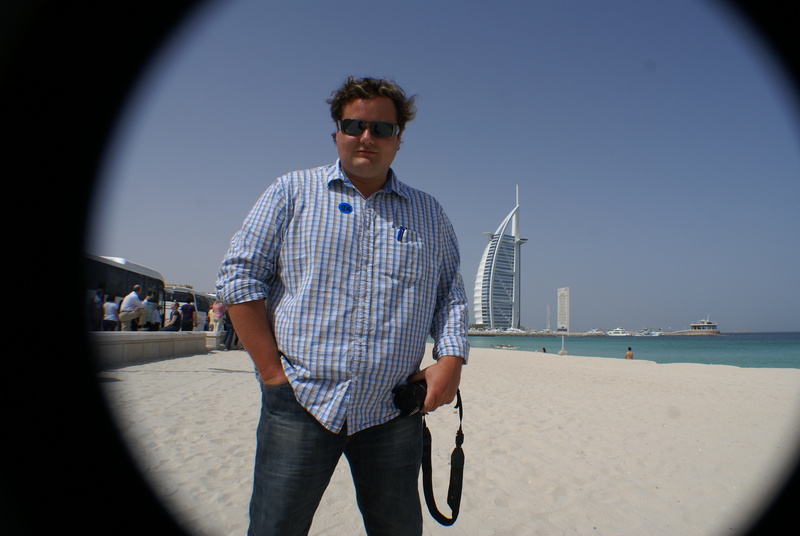 So on April 30th, I flew to Barcelona and got on a ship… and that ship sailed to Dubai. Check number 5 off my list. Number 6 was an item that I found difficult to put into words. I ended up settling on Learn Something. Make a Change. At the end of 2011 and the beginning of 2012, I was so extremely bored and unsettled. I was hungry to fill a void, even though I didn’t know what that void was. Well, I found it. My need was to be creative and contribute something to the society around me. And it was also learning that I could still learn. My change was not necessarily changing careers… but cutting back on “a job” and replacing it with what I hope to carve into “a career”. And I’ve had so many great experiences this year: traveling to places I’ve never been, visiting so many children in so many schools, meeting people in cities all over the country, hearing concerns about our educational system, engaging with folks to hear of their own experiences. Wow. Looking back, it’s amazing to me. And I owe all of it to number 7. Pete the Popcorn was released on February 29th, 2012. Immediately, it started a flood of media appearances, school visits and book signings. In addition, it began the ball rolling on a litany of other projects. In June, our second book was released. Clipper the Comet allowed co-author Joe Kelley and I to celebrate our grandparents and also the area of the country where we were both raised: the rust belt, the automotive-producing heartland of the country. In July, we began working on a book for adults: P.E.T.E. Pursuing Excellence Through Encouragement. This will be officially released on Amazon.com in the coming weeks. In September, we wrapped up work on Pete the Popcorn for iBooks. This amazing interactive book can even have the characters read the book to you! This ibook is currently working its way through Apple’s review process and should be available to the 100 Million iPads and 73 millions iPhones worldwide before the Holiday shopping season kicks into gear. Also in September, we embarked on a 40-City, 25-State, 2-Month national tour. We’ve been to countless schools across the country and it’s been amazing. With every single project, we’ve also attempted to teach a lesson or wrap up the book’s release into an event promoting some sort of good. With Pete the Popcorn, the message was kids encouraging others. Released on Leap Day, we told kids that it was time to take a huge leap forward when it comes to bullying in this country. For Clipper the Comet, we talk to kids about taking pride in their work. And we released it at a Summer Book Swap, where we gave away thousands of books to deserving children. Gosh I really can’t tell you how grateful I am to Lesley Carter for reading about her yearly bucket lists. I just don’t know if all of these things would have happened this year if I wouldn’t have written them down. All of these projects stemming from one Children’s Book? These opportunities to travel? Chances to learn? Some folks might write down “jump out of an airplane”… and I really might do that for next year. But I’m so proud that many of my Bucket List goals for 2012 were based on accomplishing and achieving things that weren’t guaranteed. I better start writing the list for 2013. Any ideas? I need to rant and vent and get some encouragement. Some will think this is nothing but a big whine… but I need your opinion and maybe some help. Yesterday, my motivations were called into question by someone that I thought was a friend. I believe one of the worst things for a person to do is insult someone else’s dreams, ambitions or goals. And this is exactly what my friend did to me. It hurt– deeply. As you know, earlier this year, we released a book for children titled Pete the Popcorn. Pete the Popcorn was dreamed up when co-author Joe Kelley’s nephew was being bullied in school. He was 11 years old at the time– and the situation grew bad enough for him to move to a new school. Joe and I began talking with school teachers, administrators and psychologists. They all said the same thing: the solution to bullying isn’t about the bully or the victim. The solution lies in Child Number Three– the one that is watching it happen. That third child needs to learn that it’s OK to stand up and encourage the victim, while letting the bully know that what they did was wrong. This is tough to do. Even as adults, we have a difficult time standing up for someone else. So how do you teach this to small children? We’ve attempted to do it through a fun children’s book. By teaching kids to simply be nice to one another, compliment each other, be friends or play with kids you don’t normally play with… these are all ways of encouraging others. Even The Bible speaks of encouragement. By starting to encourage each other at a very young age, this becomes easier and easier to do on a daily basis as we grow older. It’s the chain of encouragement— someone encourages you, then you find it easier to encourage me, which makes me encourage someone else… and the chain builds. When we were developing a plan to market our book, we decided to focus on “pro-encouragement” rather than “anti-bullying”. However, The Toledo Blade ran an article about the book, hailing it as a perfect way to talk about bullying with very young children. The dye had been cast…. Pete the Popcorn was an anti-bullying book in the eyes of the media, soon followed by teachers and parents. Which brings me to yesterday… a friend made a passing comment that Joe and I were “getting rich” off “anti-bullying.” This person insinuated that we were “kicking back, living the good life” and “collecting checks” while kids were still getting picked on. Now, I’m not saying that Pete the Popcorn is some earth-shattering, ground-breaking masterpiece. But I am proud of it– and it makes us feel great when a child tells us that they love the story. And book sales are nice– but have we gotten “rich”? No– far from it. I’m still driving my 1999 Chrysler Sebring with 225,000 miles on it… as soon as I upgrade, I’ll let y’all know. This friend also made the reference that Pete the Popcorn wasn’t really doing any good– that we were just using the “bullying” tag to sell books. Well, we don’t have any way to measure whether or not our book has made an impact, that much is true. But we’ve received feedback from individual parents and teachers on how a particular child has related to Pete, Patty or the story in general. And when you’re discussing children’s literature, all that matters is whether or not your book has impacted one child. And for my friend’s claim that we are, “kicking back”? I’ve never worked so hard in my life as I have this past year. Apparently, this person doesn’t realize that Joe and I do it all— marketing via Facebook and other online means, contacting schools, appearing at schools, maintaining a website, producing videos documenting school visits, signing books, speaking at family literacy nights, writing new stories, keeping up with a blog, ordering books, shipping books, working with our illustrator, producing a version of Pete the Popcorn for iPad, maintaining relationships with business partners like gourmet popcorn shops, developing relationships for future releases… this list could literally go on and on and on. Last week, we spent 8 hours– literally 8 hours– calling schools and then sending out emails. Do you know how many schools got back to us? Zero. And that’s for free readings. Are we looking to make some money? Absolutely. Are we looking to get rich? In the book business, that’s just a very, very rare occurrence. This is already a full-time job— but we aren’t making full-time money. Both of us are still required to work other jobs in order to pay the bills. Would we like to make enough money producing books so this ONE full-time job is all we have to do? Yes– that is our goal. However, I’m downright baffled and insulted that anyone would think that somehow we’re living high off the hog. If anything, we’re still in the phase of business where we’re losing money. Not only have we attempted to take on bullying through our teaching of encouragement, but we’ve also had the opportunity to promote literacy. Back in the Spring, at one of our school visits, we ran across a school that was closing. Their library books were destined for the recycling bin. After much back-and-forth and begging, Joe and I were able to obtain the books for distribution. There were thousands and thousands of books that we had the opportunity to give away to deserving children for their summer reading. Contrary to popular belief, we don’t have a troop of magical elves following us around. So we rented a U-Haul with our own money, worked the phones to get a space donated, secured donations from friends for food and drinks, hassled people to volunteer, contacted school districts and media to help spread the word (again– zero response)— all of this led to the very first Summer Book Swap, where kids could get free books for reading during the summer. When thousands of books were left over, we again loaded them all up and took them to a festival, where they were all given away to families that needed them. Have you ever lifted, loaded, stacked and organized boxes and boxes of books? Let’s just say that the back wasn’t feeling too hot for a good week following both of these events. And then there is our National Book Tour, Encouragement Across America. Oh, it sure sounds fancy. At least my friend that started this whole rant with their comments yesterday thinks so. This person said that we are, “out seeing the country, having a good time…” Well, that’s a grand theory. And I wish it were true. Since the tour started on September 10th, we have visited schools in Des Moines, Mason City, Rapid City, Billings, Pocatello, Carson City, San Francisco, Los Angeles, Las Vegas, Grand Junction, Hays, St. Louis, Indianapolis, Detroit, Toledo, Dayton, Lexington, Pigeon Forge, Fayetteville and Jacksonville. I didn’t even list smaller communities where we’ve read— like Milford, Michigan and Fremont, Ohio and many more. The current mileage on the rental car is over 9,000 miles since this trip began. We’ve been sleeping in Motel 6-range hotels or with friends– or camping. I’ve eaten so many $1 menu items it’s crazy. We’ve slurped down so much McDonald’s coffee in return for free Wi-Fi. And keep in mind that after we read to schools from 8 AM until 3 PM that there is usually an 8-hour drive to the next city. How very glamorous. We also have not charged schools a dime for appearances thus far. We’ve been relying on book orders from students, teachers and libraries to fund this tour. Unfortunately, the average book order from each school has been 5 books. And then we’ve had schools not even return orders. So, we’ve lost our time, the order forms (which are not cheap), gas money, hotel costs and more. Now, have we seen some beautiful sites during this journey? Absolutely. Do we deserve, when we’re 20 miles from Mt. Rushmore, to see this landmark? I think so. But we’ve also lost thousands and thousands of dollars completing this tour. Will it eventually pay off in the long run? I certainly do hope so. I know that the students from coast-to-coast have thoroughly enjoyed our visits and seemed to learn quite a bit. While that makes this whole process “worth it” in my heart, it certainly doesn’t pay the mortgage. One last great thing that we’ve done this year: our friends and supporters organized to donate nearly $1000 so that we can give away free books to deserving school libraries and students. Through the website indiegogo.com, folks were able to contribute different amounts– but just $10 was enough to sponsor a child. This definitely makes up for the lack of orders we’ve been receiving from schools. But I did find this amazing… and it leads me to believe that maybe more people have an opinion like my friend from yesterday: Joe turned 40 in August. And I turned 30 in September. All we asked for, for our mini-landmark birthdays, was for our friends to sponsor a child for $10. On my birthday, just two of my friends donated. Yet, in past years, people have lined up at bars and restaurants to purchase me and them a drink in celebration. Was I selfish for asking? Or were they selfish for not participating? So, I need to know from friends and strangers: was my friend correct? Are we out here “getting rich” off anti-bullying? Or is what we’re doing a unique way to help children? In order to make up for the lack of book orders, we’ve opened up a new indiegogo campaign. You can find that online at www.indiegogo.com/petepopcorn For $10, you can sponsor a school library. That’s right– for just $10, we will be able to donate a book to a school library that we visit. Countless children will have access to Pete the Popcorn. Or, if $10 is too much, you can donate $5 and we will send you a postcard from the road. We certainly do appreciate your donations– and if you have Facebook, a blog or Twitter, sharing this information with the world can make miracles happen. Maybe you can help prove my friend wrong and encourage us to keep going at the same time. I do also want to let you know that we’re not giving up on bringing good messages to children. I remember being encouraged when I was a child. And hopefully you do, too. Joe and I, even though we don’t have children, know the importance of offering reassurance and encouragement. When kids harm themselves, many times it is simply because they don’t think they’re good enough. 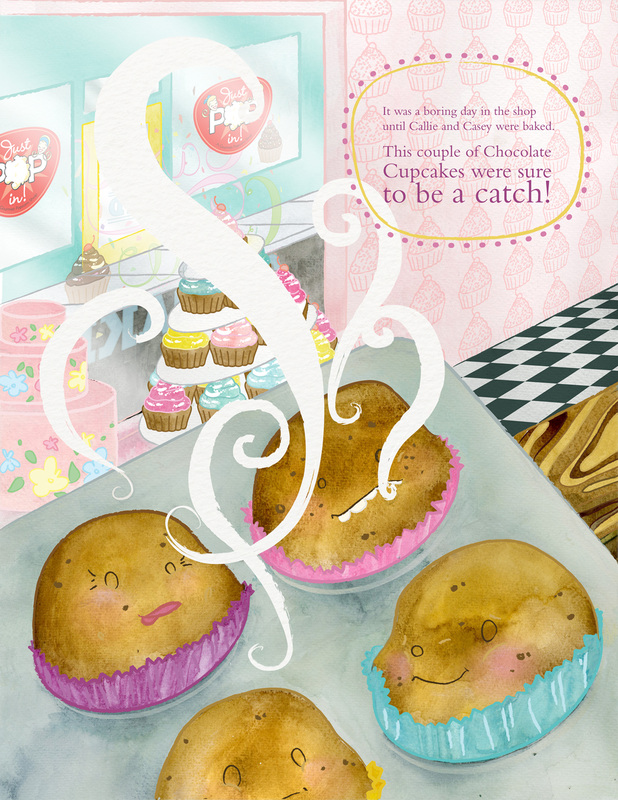 Through this next book, we want to let children know that they are PERFECT just the way they are– all the toppings and frostings in the world may look nice, but it’s what’s on the inside that really counts. 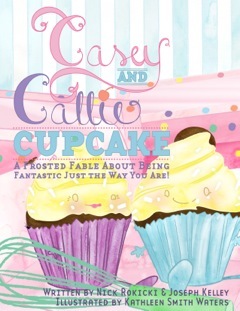 We are offering a super steal for those pre-ordering Casey and Callie Cupcake: For $25, you get a signed first-edition, a t-shirt, your dedication actually printed in the acknowledgment section of the book…. and we will donate an additional copy to a school library on our travels. This offer is limited to the first 250 people– and it’s a steal. When the book is released on Amazon.com, it will retail for $12.99. So this is like a buy-one, get-one WITH a free t-shirt! 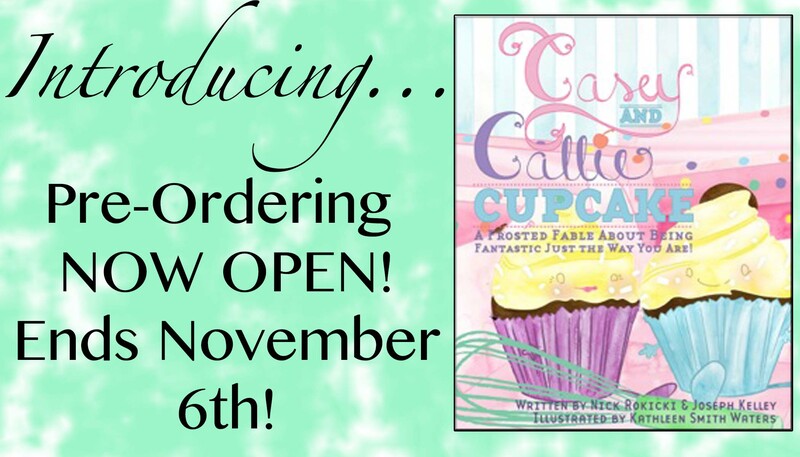 Just click here to pre-order! If you’re a business, a school or a teacher, this is an awesome way to get your name in print now and forever… making your stand with encouraging children. Fayetteville, North Carolina is just plain awesome. I’ve got to thank all of the teachers, parents and students of Warrenwood Elementary School in Fayetteville, North Carolina. They welcomed us with huge open arms last Friday for a reading of Pete the Popcorn. Not only were they popping fresh corn for the kiddos, they also invited parents to be a part of the assembly. And I always smile from ear-to-ear when I see parents involved in their child’s education. I’ve said it before: I had an old dad. And while he is no longer with me today, I benefited more than I can imagine from his age and experience while I was growing up. Even better, he retired from his job when I was in third grade… so he was able to be around for school activities, after school homework sessions and much more. And my mother was involved, as well… even though she was working through most of my elementary years. I distinctly remember her taking time off work on so many occasions to accompany my class on field trips here and there. So when I saw parents sitting at the back of the assembly at Warrenwood, it was a great feeling. Last school year, when Pete the Popcorn was just starting out and we were getting our footing, a teacher named Jennifer Archer came to an event held at a public library. She enjoyed our presentation and our message so much that she convinced the Principal at her elementary school to have us come in. Never before did we feel so welcome at a school… and when the students were a bit restless and talkative (it was at the very end of the school day on a Friday), Jennifer personally apologized— even when she didn’t have to. We told her to keep in touch— and she did. Over the summer, she had moved to a new job and a new city: Fayetteville. It was a long shot– would two Michigan-based authors come down to North Carolina? Luckily, we were on our National Tour… and Fayetteville got dropped on the calendar. This is a good lesson in all that you do: keep in touch with everyone. Jennifer did so… and her school benefited. We’ll keep in touch, too… and probably be back to Fayetteville in the coming years. We also visited Lillian Black Elementary in Spring Lake, North Carolina. While the school was small— we met some very nice teachers that obviously love what they do. Have you ever seen someone that obviously loves what they do? It’s apparent in their smile, demeanor… and how much they care about the results of the job that they are doing. I really started thinking about this on Friday while compiling the video below. In it, you’ll see several educators that love what they do. On a lighter note, I continued thinking about this on Saturday evening, while watching Saturday Night Live. Bruno Mars was host and musical guest… and watching him perform made me so very happy– because he loves what he does. I love going out and reading to kids… it’s been a large part of promoting our books, a part that I didn’t even really think about when starting to embark on the whole Pete project. But it’s been my favorite thing ever, even though there’s not much money in it. Speaking of that part— I’m preparing a little rant for later in the week. My apologies now.